Greenfire Farms 10 Blue Birchen Marans Day-Old Chicks:Ultra-Rare Imported Marans Variety that Lays Very Dark Brown Eggs! The lucky winner of this auction will receive 10 or more unsexed blue birchen Marans day-old chicks. Marans are known for their remarkable dark brown eggs –reputed to taste better than any egg in the world—and this rare French breed is much sought-after in America. 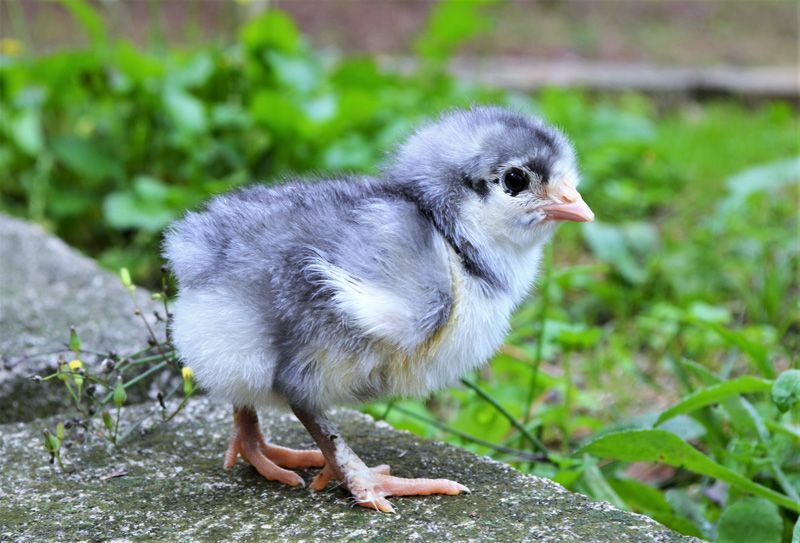 The rarest variety of Marans is the blue birchen, a bird with feathers as colorful and captivating as the eggs it lays. We scoured Europe to find blue birchen Marans, and after several years we were able to located two flocks of exemplary birds. 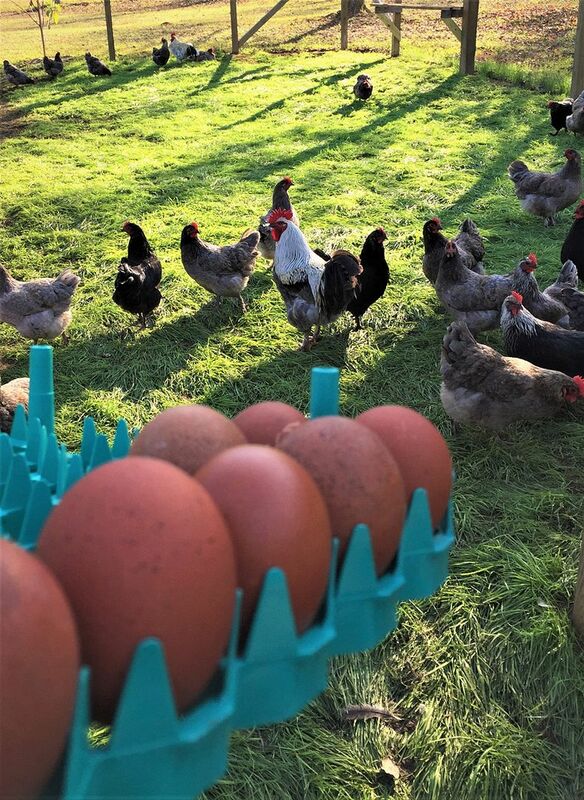 Greenfire Farms’ blue birchen Marans are known to reliably produce some of the darkest chocolate-colored eggs in this country. 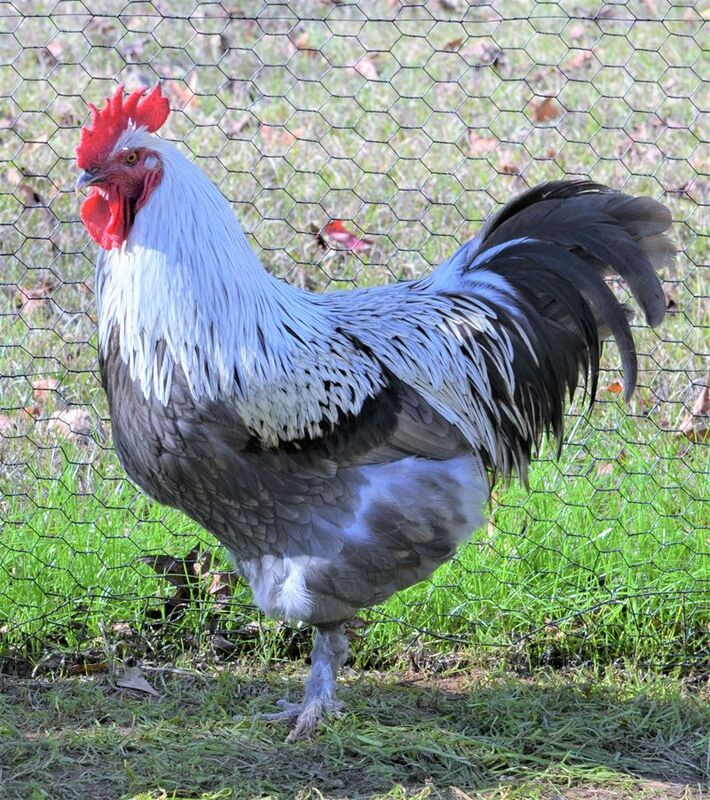 Blue birchen Marans are extremely rare in the United States – very few people in this country have ever seen one. Greenfire Farms maintains the largest breeding flock of blue birchens in the United States, and our birds lay beautiful dark brown eggs typical of the breed. Here’s a picture of eggs selected at random that we collected from our breeding pen one afternoon. 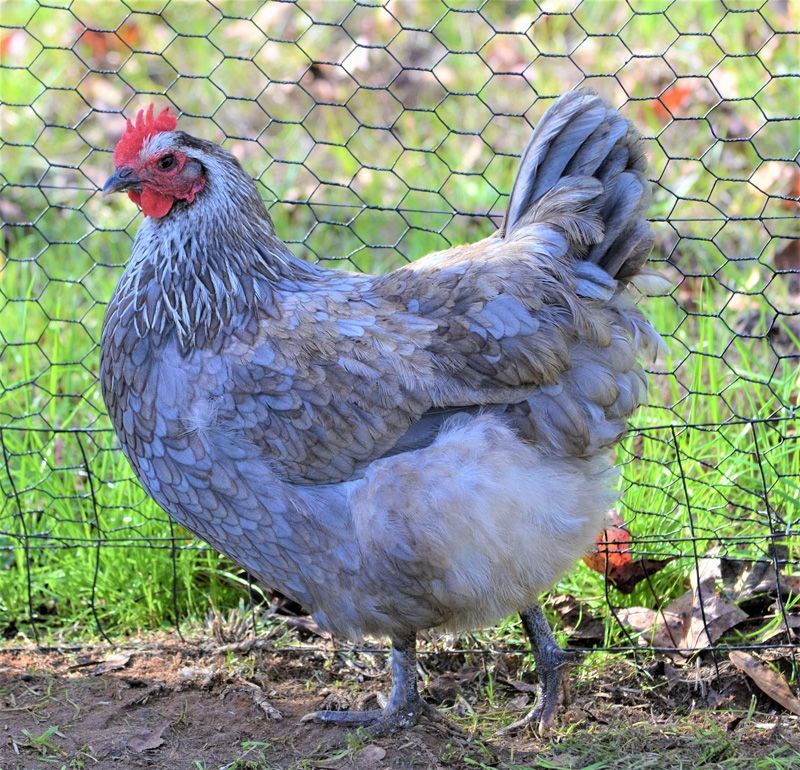 Of all the breeds we raise, the blue birchen Marans are among our favorites. They have great personalities, lay beautiful eggs, and are simply one of the most stunning chicken varieties in existence. The roosters have wildly dramatic colors, but the hens also have a beautiful mosaic of striking feathers. Please keep in mind that if you win this auction you may receive blue, black, and/or splash birds as a result of the way the blue gene operates in chickens. But, the chicks you receive will be able to produce blue birchens in the next generation as well as the other colors associated with the blue gene. Chicks will be selected at random based on hatch availability and we cannot grant requests for specific colors. The pictures on this auction represent the quality of the stock that Greenfire Farms is currently working with. 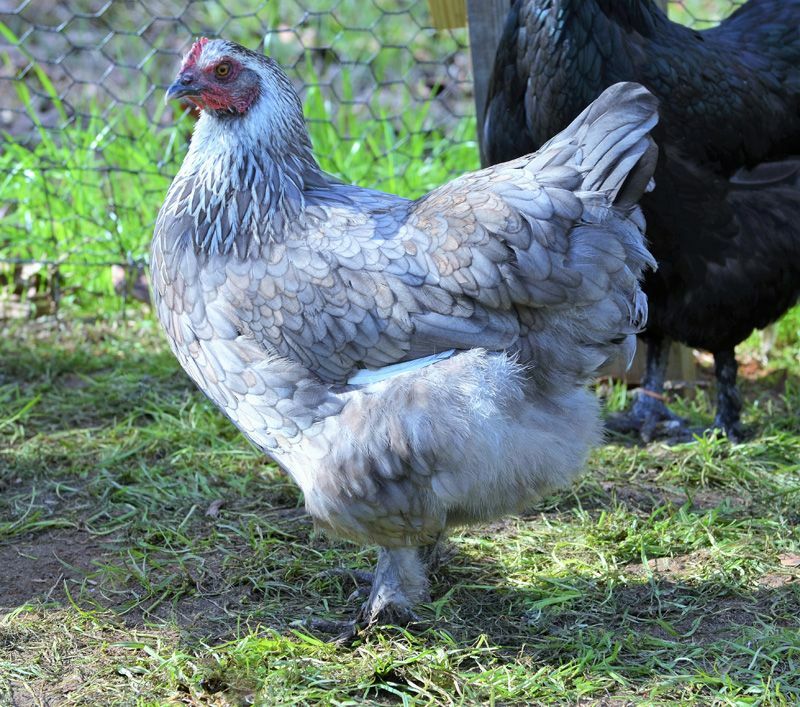 The winning bidder will receive 10 or more unsexed blue birchen Marans day-old chicks. They will be vaccinated for Marek's. These chicks will be shipped within 3 weeks of the close of this auction. We guarantee live delivery and the health of the chicks for 72 hours after you receive them. The auction winner pays an additional $35 in shipping costs. 15 Greenfire Farms East Frisian Gull Day-Old Chicks: Ultra-Rare North Sea Beauties!